Leaves return to the trees, evenings get lighter, birdsong fills the air and we all get a little bit happier. The Royal Parks are a great place to see spring in action, with daffodils blooming, and chiff chaffs singing, but they are also awash with culture from Charles Dickens in The Regent’s Park and guided history walks in The Green Park to wildlife illustration classes in Bushy Park. 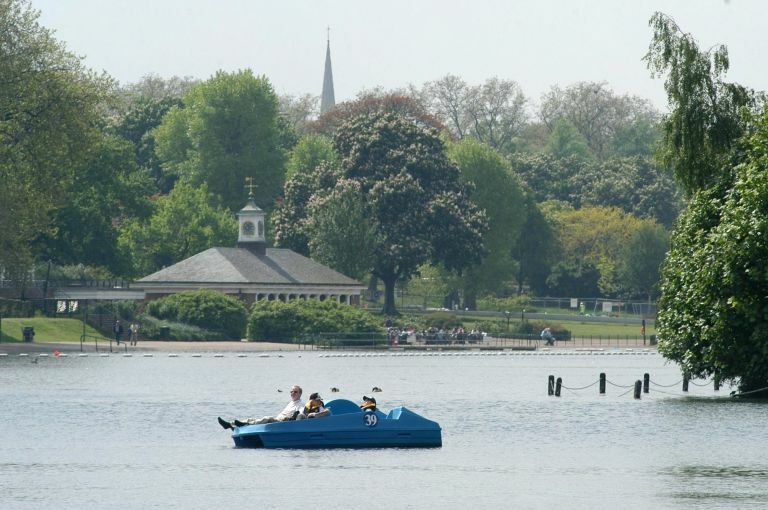 Hire a rowing boat or a pedalo and glide through the picturesque surroundings of Greenwich Park, Hyde Park or Regent's Park. In Hyde Park jump on the sun powered 'Solarshuttle' which will take you from the boathouse to the Diana, Princess of Wales Memorial Fountain. Dates vary, check locally with parks. 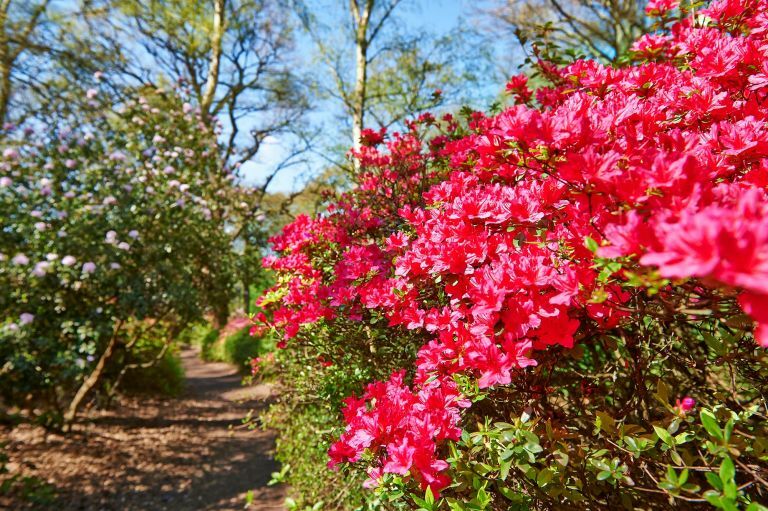 In spring expect a kaleidoscope of colour in the plantation, as bluebells carpet the floor and evergreen azaleas and rhododendrons put on a bewitching display of vivid pinks, purples and reds. To enable more people to enjoy this enchanting 40 acre woodland garden, a free minibus service will operate every Wednesday from 5 April until 25 October 2017. The fully accessible minibus drives a complete circuit of the park stopping at the main Richmond Park car parks and the Isabella Plantation. It also stops outside the park at Ham Common crossroads (65 bus stop) and the barrier in Danebury Avenue, near Roehampton Gate. For a timetable click here. The best time to see the azaleas and rhododendrons in full bloom is the end of April and start of May. For a month-by-month guide of what plants you can see in the plantation click here. It is June 1857 and Queen Victoria is in Hyde Park to carry out a very special duty. The Queen, on horseback, presents the Victoria Cross to the first 62 men to receive the medal. In the 160 years since that sunlit day in the park just over 1,350 VCs have been received by the bravest of the brave in the armed forces. Each of those medals tells a fascinating and humbling story of courage. 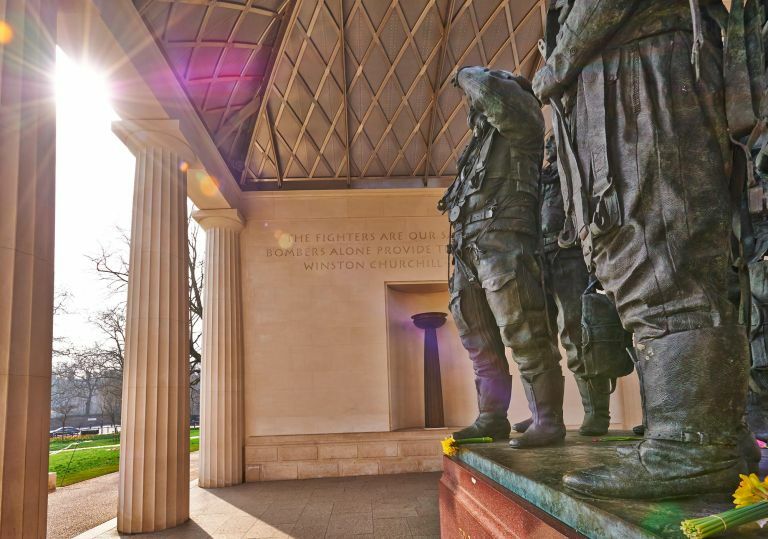 In the present day a stroll through the Royal Parks can evoke memories of those heroes from the United Kingdom and the Commonwealth. Where: Meet by the Diana of the Treetops Fountain, Green Park. Cost: £5. Book in advance. Royal gun salutes mark special royal occasions and in London, salutes are fired in either Hyde Park or Green Park by the King's Troop Royal Horse Artillery and at The Tower of London by the Honourable Artillery Company. On 21 April, a royal gun salute will take place in Hyde Park and The Tower of London to mark Her Majesty The Queen’s birthday. 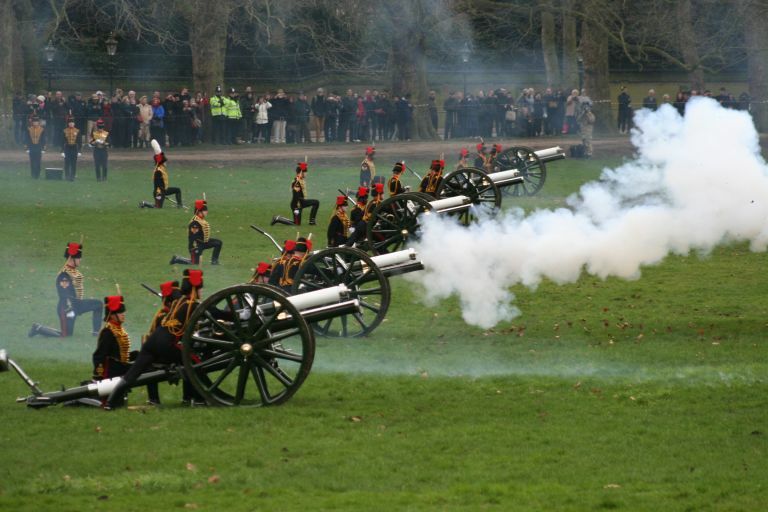 The number of rounds fired in a Royal Gun Salute depends on the place and occasion. The basic salute is 21 rounds. In Hyde Park and Green Park an extra 20 rounds is added because they are both Royal Parks. Where: Parade Ground. Hyde Park. On April 23 get up early to cheer on the runners as they set off from Greenwich Park to run a gruelling 26.2 miles to the finish line at The Mall in St James’s Park. Once you’ve waved them off relax with a cup of tea and a bacon sandwich at the White Lodge Cafe by St Mary’s Gate. 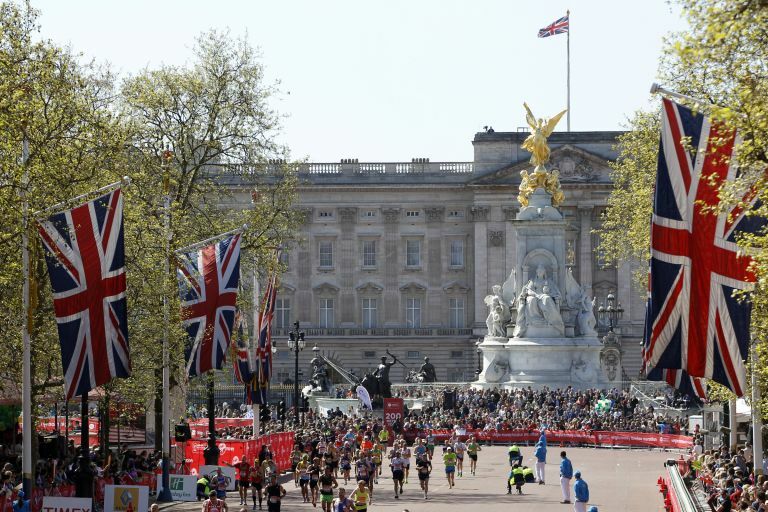 For more information about the marathon visit the Virgin Money London Marathon website. 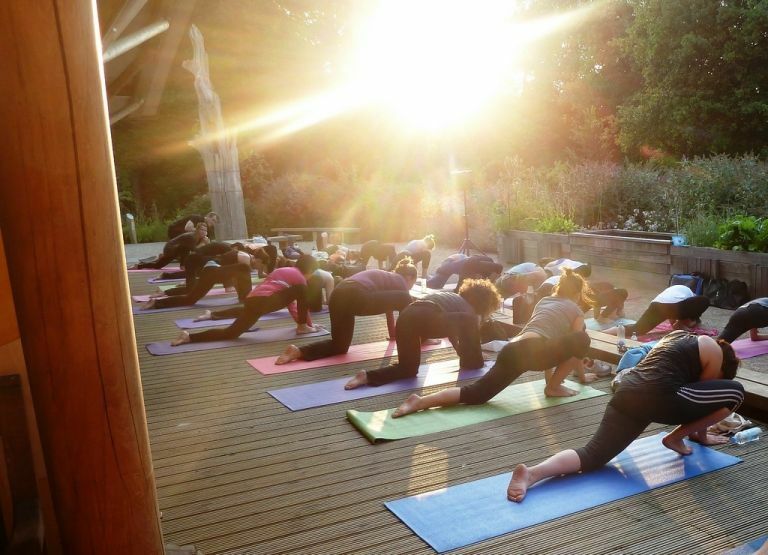 Be guided through a vinyasa flow yoga class in the tranquil surrounds of Hyde Park by yoga teacher and qualified positive psychology coach, Mercedes Sieff. The session will include a introduction to the principles of Positive Psychology commonly known as ‘The Science of Happiness’. This class is suitable for all abilities. Cost: £15. Book in advance. 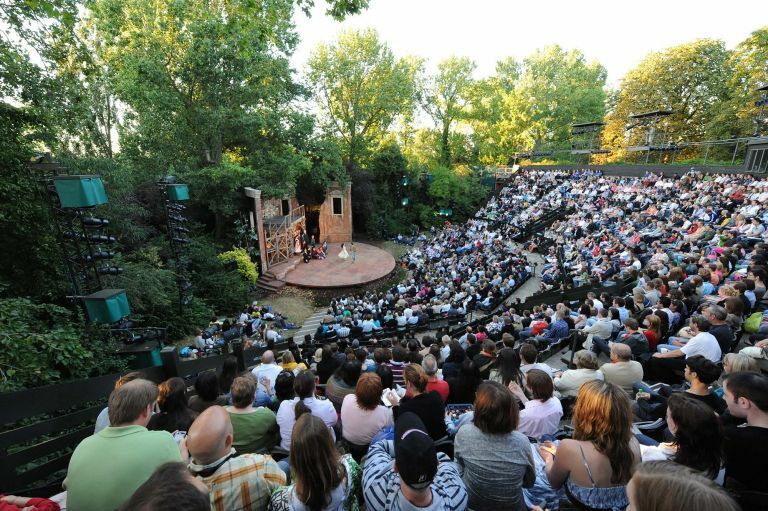 From May-September take your seat in the Regent’s Park Open Air Theatre, an outdoor auditorium set in the beautiful surroundings of a Royal Park. Productions include two novel adaptations from Charles Dickens - A Tale of Two Cities and Oliver Twist. When: 19 May- 16 September. Book via the Regent’s Park Open Air Theatre website. 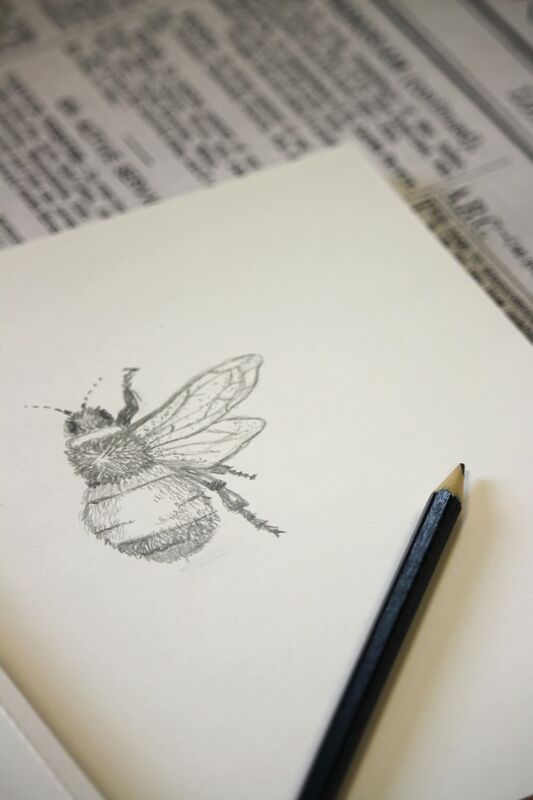 Throughout the day you will learn the techniques of pen and ink illustration, drawing inspiration from the surroundings of Bushy Park. Cost: £25. Book in advance via the Field Studies Council website. Festivities include a parade through Chestnut Avenue at 12.30pm complete with military vehicles, vintage cars and City of London horses. 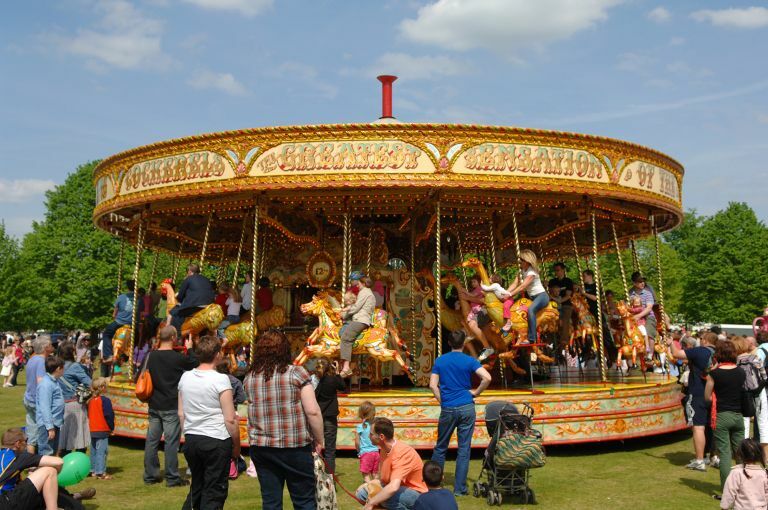 Also, expect live music, pony rides historical re-enactments, and traditional fairground rides. Now approaching its fifth year, Barclaycard presents British Summer Time Hyde Park returns from ‪Friday June 30 to Sunday July 9, to once again host some of the biggest and best live acts in the world of music. This year sees a stellar line-up of headliners including Phil Collins, Green Day, Justin Bieber, Kings of Leon, The Killers, Tom Petty and the Heartbreakers take to the stage over back-to-back weekends. Since it began in 2013, the Great Oak Stage has played host to The Rolling Stones, Lionel Richie, The Libertines and Stevie Wonder amongst many other huge stars and this year’s line up promises to be no exception! Book tickets via the BST Hyde Park website.